The death of a child is always heartbreaking but when it is by suicide it is as devastating as it gets, with long-term negative psychosocial effects for those left behind. There is a whole different level of anguish and grief. Grimly, deaths of children by suicide are increasing, but they can be dramatically reduced. Each year, I support hundreds of suicide-affected families. I have supported families where they have lost a child to suicide as young as nine-years-old and with attempted suicides of children as young as six. I often reflect that there should be no words for what should be unimaginable. Only in a third of child suicides did the child tell someone that they were contemplating suicide. However, in at least one in four child suicides, we have been able to identify bullying as an underlying narrative, or as the abominable tipping point. Tragically, the child suicide toll discriminates. Proportionally, suicide takes more Aboriginal and/or Torres Strait Islander children than it does non-Aboriginal children. Suicide also takes more migrant children from non-English cultural backgrounds. I work in trauma recovery with suicide affected families — Aboriginal, migrant, everyone. At least one-quarter of these children would still be with us had it not been for bullying and relentless psychological and emotional abuse. Aboriginal and/or Torres Strait Islander suicides comprise 7% of Australia’s total suicides but shockingly 80% of Australia’s child suicides aged 12 years and less are of Aboriginal children. I have often said the nation should weep at this harrowing tragedy, which is more than just a national shame — a national disgrace, an abomination, a damning condemnation of who we remain as a nation. To age 17, 30% of child suicides are comprised of Aboriginal children. 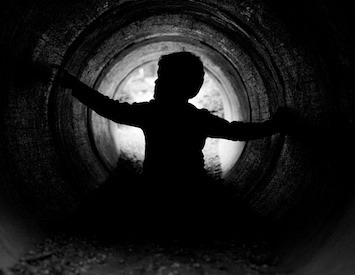 Child suicides overall are increasing in number, this is the grim reality. When a child gives up their life, on average, three-quarters of a century of potential life years are lost. The tragedy of 14-year-old Dolly Everett should have galvanised the nation to respond not only to suicides that culminated from bullying, but also to child suicides — period. In the weeks before and after Dolly’s tragic passing, there were other children lost to suicide. We must come together to tell their stories too — and on the ways forward. Bullying has been an evident significant factor in at least 25 per cent of the child suicides whose families I have supported. Tragically, vulnerable Aboriginal and/or Torres Strait Islander children are at elevated risk. Impoverished Aboriginal and/or Torres Strait Islander children are 20 times more prone to aberrant behaviours and to attempting suicide due to bullying. Migrant children, particularly from culture and language diverse backgrounds, are also more prone to attempting suicide due to bullying. In general, the poorer someone is in socioeconomic terms, the more vulnerable they are to bullying, aberrant behaviour and to suicidal ideation. 40% of Aboriginal and/or Torres Strait Islanders live below the poverty line and my research has found that almost 100% of Aboriginal and/or Torres Strait Islander suicides are of people who lived below the poverty line. The suicides of Indigenous Australians living above the poverty line are negligible and fewer than non-Indigenous Australians living above the poverty line. Migrant Australians comprise more than one-quarter of the harrowing Australian suicide toll. Newly arrived migrants from linguistically diverse backgrounds are the most at-risk. The majority are impoverished and face upon arrival, imposts of economic stressors and a divide borne of incidental isolation and inequalities, and many instances of the "isms". I remember a young mother, newly arrived, living in public housing with her two young children, the youngest less than two years of age, ending her life. Her family devastated. Her eldest child, seven years of age, was subsequently at risk. To reduce the threat of the “unimaginable” we supported the family relentlessly. People need people. There are no words possible to any family in the wake of the loss of their child. I remember each child’s funeral I have attended. I remember the funeral of a ten-year-old, an 11-year-old, 12-year-olds. I remember in one community, three children buried in five days, three graves in a row, the youngest a 15-year-old girl. In two of the tragic losses, bullying was the tipping point, despite neither ever confiding in anyone of suicidal ideation. Bullying has to be taken on, the stories have to be told so as to galvanise tailor made education, to stop bullying, to educate protective factors into victims, to educate perpetrators. Our hearts ache in the knowledge that children as young as six years old attempt suicide, as young as nine years of age lost to suicide. Bullying, cyberbullying, emotional and psychological abuses, usually of a relentless and intensifying nature, have been significant in young lives lost. There needs to be authenticity in education on how to support our children who are victims of bullying, on how to be on the alert. There is no greater legacy than the one that saves lives. Migrant children, often neglected in the suicide prevention discourses, are at elevated risk primarily because of racism, because of the one size impost that they must “fit in”. This can lead to disordered thinking, to muddle-minded concepts, to internalised conflict, to shame, to a diminution of the self. Education campaigns must be national and reach every layer of society. They cannot be limited predominantly within the school because, for the majority of Aboriginal child suicides, they have been of children who did not attend school. In the remote, the majority of children do not attend school. There are communities where no child completes secondary school. We must dawn a context of new meanings and broader understandings. Recently, I travelled to two island communities that recorded their first suicides. These island communities had been sheltered from the internet and social media platforms where bullying and mobbing play out in pronounced ways. Mid-last-year, both island communities were connected to the internet. Prior to this, there had never been a recorded suicide attempt. We must demand that bullying is tackled and all other factors that culminate in suicide are radically challenged but with a salt-of-the-earth approach, with the spreading of love. This does not mean we dish out to families more expectation. They are already doing everything they can. It is a slap in the face to suggest that they need to talk openly. They do talk but they need support, outreach services, pathways that improve their lot and that resource them and provide the tools to assist their loved ones. In my suicide prevention work with hundreds of critically vulnerable children over the years, the increasing rates of suicidal ideation are intertwined significantly with intense bullying. And when it is a public spectacle, where one bully is validated by another bully, where trolls become a mob, the affected can be aggressively damaged, psychosocially diminished. Bullying is a traumatic experience. Bullying leads the victim and perpetrator to cognitive and dialectic narrowing. Everything that can be done to report bullying, to block cyberbullying should be done but with the digital world as it is this may not be easy. Education is imperative. We need to dawn new meanings, contextual understandings of the self, of the bully, and guide the affected and their families. We must identify the trauma – whether past or ongoing – and validate the effects of the trauma but then sideline the trauma so it does not invalidate, does not debilitate the individual. Trauma should not be allowed to dominate someone injuriously where it becomes the predominant self and a lifelong management issue. In the impermanence of life, our days, however many, on this earth are numbered and trauma must never be allowed to dominate. Child suicides are no longer rare. Child suicide rates are the highest they have ever been. More than 40,000 children aged 12 to 17 years are known to make a suicide attempt. One-quarter of 16-year-old females self-harm. Some destructive behaviours that can culminate in suicidal ideation are preventable. There’s a devastating intersection with poverty and suicide. The way forward is to improve life circumstances. There’s a devastating intersection of sexual abuse – particularly of child sexual abuse – and suicide. Here we need the validation of people, to be there and help them define their positive psychosocial self. As a nation, our governments and institutions should be doing everything possible for a civil and courteous society, for loving narratives, for outreach support, for technology primed to the betterment of its users and where it cannot be misused to the detriment. Gerry Georgatos is the national coordinator of both the National Indigenous Critical Response Service and the National Migrant Youth Support Service. You can follow Gerry on Twitter @GerryGeorgatos. The suicide prevention space will remain inauthentic – hostage to carpetbaggers and the ignorant.